There is a lot of talk these days about “authenticity”, but what does this really mean? How do we know when we have accessed our “authentic self” and more importantly how do we live there? 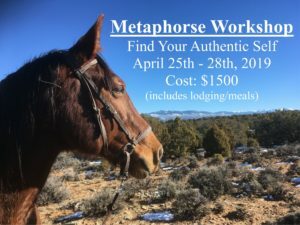 Equine Experiential Learning offers us the unique gift of partnering with ancient sentient beings who only know how to live in authenticity. Through carefully designed activities they will show us how we show up in the world and in the most gentle of ways guide us to not only experience our own true authentic nature, but it has been scientifically proven that experiential learning gifts us with our bodies ability to rewrite our stories by literally re wiring our nervous systems. 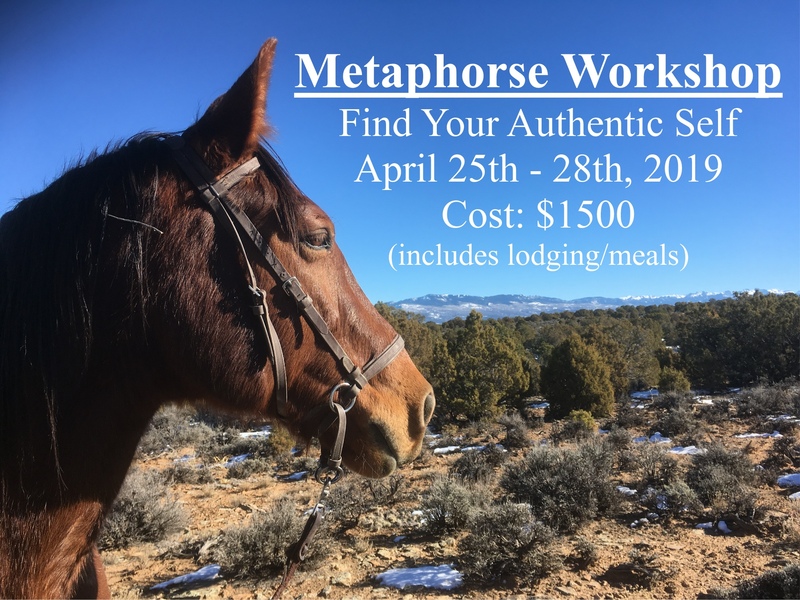 This workshop will not only offer the gifts of experiencing and understanding our own authenticity versus conditioned patterning, but you will return home with tools and exercises to continue and strengthen your bond with your true authentic self. You’ll need to arrive on April 24th, 2019 (a lite meal will be served on this evening) and depart on April 29th, 2019 (the workshop ends at 4:oo on April 28th, 2019). Please let us know if you need a ride from the Montrose Airport. You may want to check flights coming into Grand Junction, CO; they can be considerably less expensive, however you would need to arrange your own transportation. Please bring appropriate clothing, including boots. No sandals or clogs can be worn around horses. Hats, sunscreen, water bottles and your favorite snacks are encouraged. You are welcome to book nights after the workshop to enjoy the rest of what Montrose has to offer, just let us know.